My main experiences as a doula are from working in a public teaching hospital not too different from the one where my brother was—and it was amazing how the sites and smells just completely threw me back to those births. Particularly the smell of the soap served as a really strong memory trigger. The other thing that I took away from this experience with my brother (who is doing quite well by the way!) is how important the role of pleasure can be in the treatment of sick people. Doctors and nurses mainly focus on the eradication of pain—primarily through the use of narcotics. This is a common critique of the treatment of birth, particularly because in childbirth pain can be an important indicator and way through which the body communicates. But when we are dealing with pain that is not really an indicator of anything (except maybe that someone cut your stomach open and sewed you back up), the focus becomes helping the patient to be as comfortable as possible. Naturally. But in this focus on narcotics and pain eradication—an extremely effective technique can be forgotten—pleasure. Rather than focusing on making patients feel good—we focus on making them feel numb, feel nothing, feel no pain. I don’t know a lot about the physiology of pleasure and pain, but I know there are a lot of connections between the two, and sometimes quite a fine line between them. What I do know is that it is just as important to make sick people, and people in pain, feel good as it is to get rid of their pain. Doulas and midwives know this, and use it in their practice, employing massage, acupressure, and other techniques to make women in labor feel pleasure, which in turn mediates their pain, making it more tolerable. Hospitals are strikingly devoid of these techniques, and patients are left to manage their pain through numbing narcotics. Other non-traditional practitioners employ these techniques (like massage therapists, acupuncturists, etc) but I think we need to bring it back into standard medical care. As one of Radical Doula’s patients I can attest that her healings methods are superior to modern medicine! Who needs Vikatin, Dilotin, Percoset, etc, when you can have some TLC from your sis! 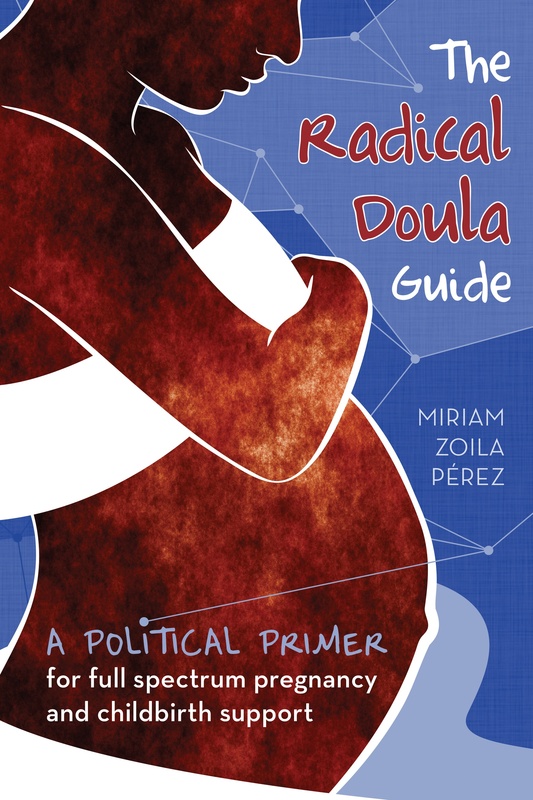 Rock on Radical Doula. I was very lucky to have you by my side!